Originally unveiled at the 2017 NAMM show, Fender re-offered in a limited window, some super Limited Edition guitars with truly unique features. 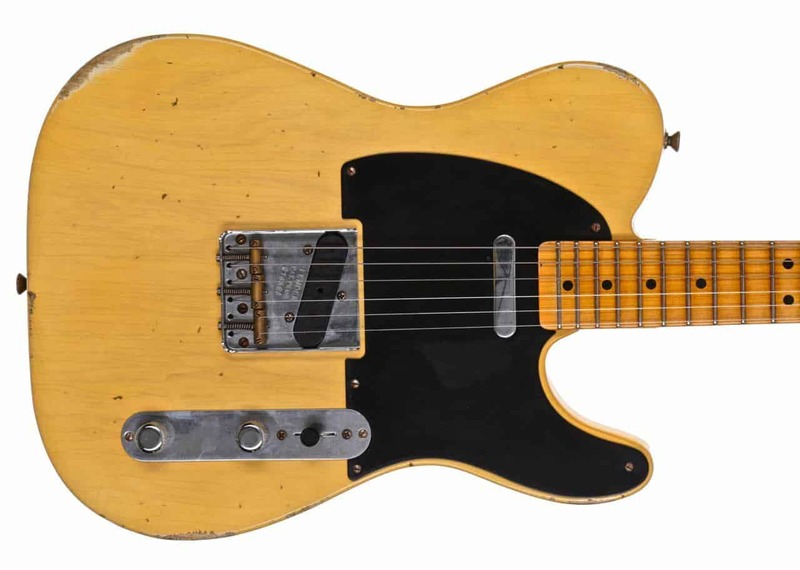 This Custom Built 1951 Relic Nocaster is a close recreation of the incredibly desirable original 1951 Nocaster. Originals are sold for tens of thousands if in good condition these days, so you can get this convincing reissue for just a fraction of the price. This ’51 Custom Shop Nocaster has been appointed with hand-wound Custom Shop pickups, delivering that classic Tele twang with some beautiful top-end sparkle. The Texas Special neck pickup provides creamy blues tones with a punchy and bold push in the mid-range. 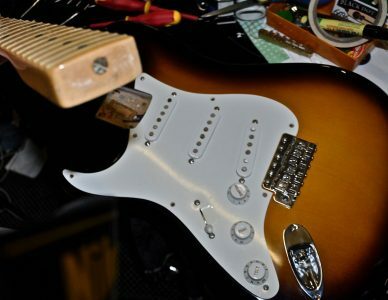 The Nocaster bridge pickup stays true to the original sound, with Alnico 3 magnets delivering a bright tone with plenty of bite and character. A master volume and tone gives you great control of your sound. The “greasebucket” tone circuit provides a more natural roll-off, removing top-end frequencies without emphasising the low-end. This means your tone remains clear and pronounced without getting woolly when rolling down the tone control. This Custom-built instrument has been crafted by only the best luthiers employed by Fender. Their vast knowledge and expertise means that you get only the highest quality guitar, made from the best tonewoods and components available. This is a guitar that will last a lifetime and will be passed on for many generations to come. The gorgeous Lightweight Ash body provides a balanced tone covering the full frequency spectrum, with the 1-piece maple neck re-capturing that vintage vibe. A bolt-on construction ensures plenty of snap and clarity, combining well with the bright pickups to give a tone that will cut through any mix – on stage or in the studio. The use of Nitrocellulose lacquer on the body and neck recaptures old-school 50’s production techniques, wearing more naturally over time. This finish is also more “breathable” for the wood, giving a more resonant and open tone. This guitar has already been carefully relic’d and provides that used look, however you can add to that with many years of enjoyment. A thick vintage-inspired ‘U’ neck profile provides plenty of comfort and offers a more substantial feel, with the narrow/jumbo 6105 frets offering great playability whilst retaining that classic look and feel. Other: Limited Edition Engraved Neckplate, Limited Edition Certificate of Authenticity and Fender Custom Shop 30th Anniversary Decal.